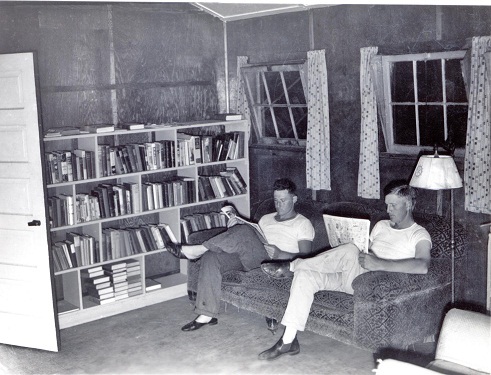 Camp Library; Walt Miller and Lee ‘Swede’ Carlson catch up on their reading. Camp meeting: matters of concern to campers are discussed at an evening meeting. Project work: Al Osborne, Ed Northway, Lee Carlson, and Walt Miller. Project work: Miles Freeman and Don Regier hoeing soybeans. 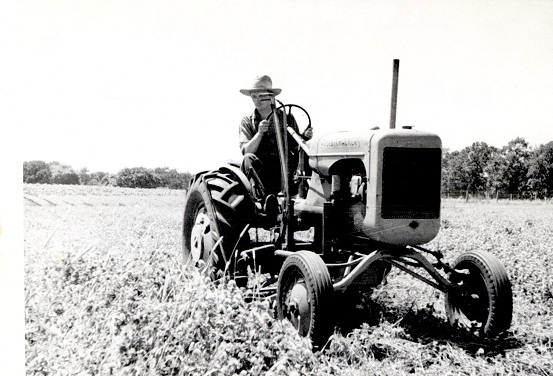 Project work: Al Osborne mowing sweet clover. A letter to the folks at home: Corwin Matlock takes time out for letter-writing. CPS Unit No. 104, an Agriculture Experiment Station unit at Iowa State University in Ames, Iowa operated by the Friends Service Committee (AFSC), opened in May 1943. When AFSC withdrew from CPS in March 1946, Selective Service administered the unit until it closed in May 1946. 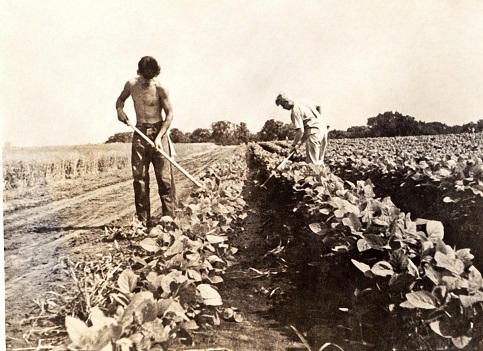 The men operated a crop-breeding program, cultivating small plots of different crop strains, testing and comparing plots. Fifty men comprised the unit, coming from various CPS camps. Men in Friends units tended to represent the greatest diversity with respect to religious identification. Few men in AFSC camps and units reported Friends denominational affiliation and it was not uncommon for the group to include men from a variety of religious groups as well as COs reporting no religious affiliation. Fifty men cultivated small plots of different strains of seed, testing and comparing results with other experimental plots. Their service permitted the continuation of long-range experiments designed to improve the quality and yield of food stuffs and greater productivity in livestock. 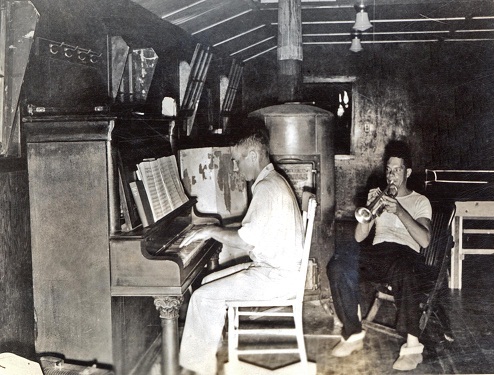 For the men, the work though difficult, proved more meaningful as it contributed to the food supply and exports to the starving in Europe and Asia. In addition, their work contributed to the development of knowledge and techniques to speed agricultural rehabilitation in war torn areas. The unit did not set up a formal organization of social, educational, recreational and other activities because of their location near a college town. 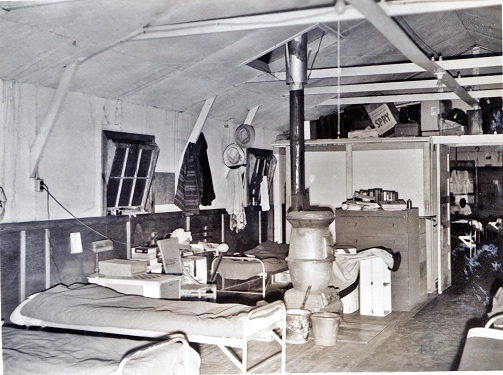 The camp frequently entertained dairy testers from the Brethren units in training at Ames. 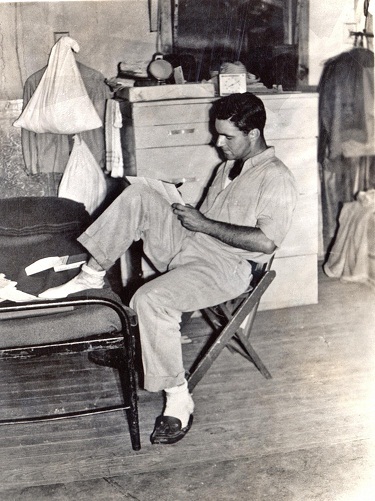 See John Brush, AFSC Correspondent, in Swarthmore College Peace Collection, American Friends Service Committee: Civilian Public Service Records (DG002), Section 1, Box 37a. www address? 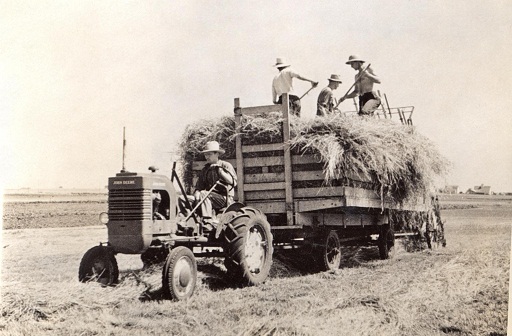 For background information on agricultural units see Leslie Eisan, Pathways of Peace: A History of the Civilian Public Service Program Administered by the Brethren Service Committee. Elgin, IL: Brethren Publishing House, 1948, Chapter 7 pp. 239-272. See Samuel D. Marble, visit report Aug. 1, 1945 in Swarthmore College Peace Collection, American Friends Service Committee: Civilian Public Service Records (DG002), Section 1, Box 37a. www address? For discussion of CO concerns that pay might go toward war efforts, see Steven M. Nolt, “The CPS Frozen Fund: The Beginning of Peace-time Interaction between Historic Peace Churches and the United States Government”, Mennonite Quarterly Review 67 (April 1993): 201-224. 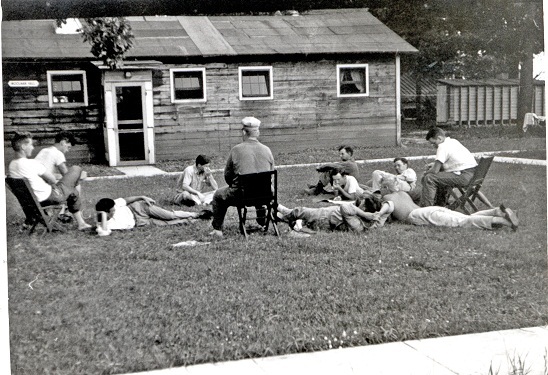 For more information on this camp, see reports and letters compiled by Anne Yoder, Archivist, Swarthmore College Peace Collection, January 21, 2011. See Mulford Q. Sibley and Philip E. Jacob Conscription of Conscience: The American State and the Conscientious Objector, 1940-47. Ithaca, NY: Cornell University Press, 1952,including Chapter VII: The Service Record of the Conscientious Objector pp. 124-151.